We’ve seen wireless radio flash triggers with TTL support from PocketWizard, Pixel and Phottix. Now there’s another contender. 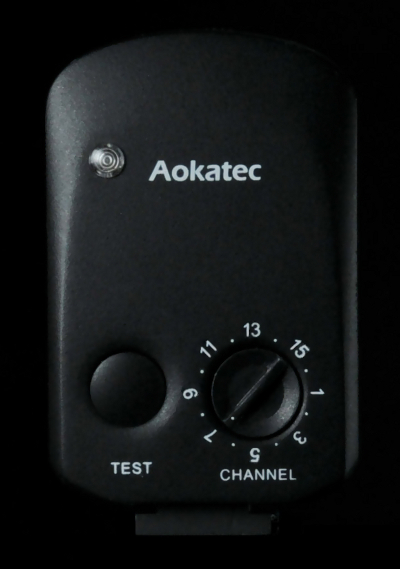 Aokatec are a Chinese company who have announced the AK-TTL Radio Wireless TTL flash trigger, which will be available for Canon, Nikon, Sony and Pentax cameras and speedlights. Nobody else offers a Pentax P-TTL trigger yet, and only Pixel offer a Sony trigger, so this is one to watch. So far we only have the above picture (and below video) giving us a glimpse at the transmitter. More details and images are coming soon. Though release was first slated to be the end of February, the Aokatec Team say there is “some delay” in development.